The most recent scientific data published confirms that the benefits of a wooden house are invaluable – the house provides an anti-allergic and healthy environment for its residents, it is energy efficient and has economic maintenance costs. Since summer 2012 Dores Factory is taking part in a unique research project run by a group of scientists measuring and comparing the energy efficiency of various construction materials under different weather conditions. What makes this study unique is that similar studies have been conducted only in a laboratory environment. Five test houses were built at the Riga Botanical Gardens – all of the same size and layout, receiving the same amount of direct sunlight. The five houses have the same construction of flooring, attic, windows and doors. For the purposes of the study each house has been built with different construction materials, maintaining identical calculated level of thermal insulation (U = 0.16 W/m2 *k). A group of scientists will be carrying out long-term monitoring of these houses, assessing the energy consumption based on the type of exterior wall material. Thermal insulation, humidity levels, interior thermal comfort and other significant indicators will be recorded over 3 year period. The aim of the research is to assess the actual energy efficiency of different houses in a natural environment and to compare the results with the calculated thermal insulation indicators used in the design of the house, as well as to promote the development of new energy-efficient construction principles in cooperation with representatives of the construction sector. – Experimental ceramic blocks filled with insulating granules. Dores Factory is taking part in the project with the shaped timber logs for external wall construction. Have a look at the summary for the most recent study results! 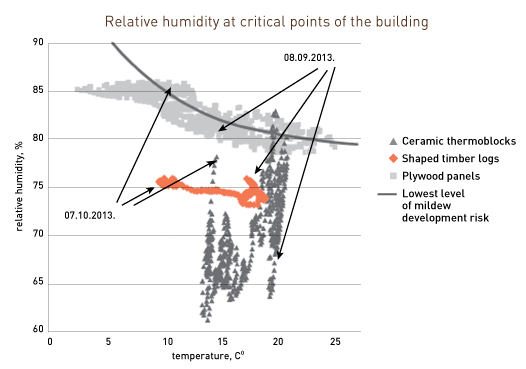 Throughout the study the shaped timber log construction has measured the lowest heat transmission index (U-value). 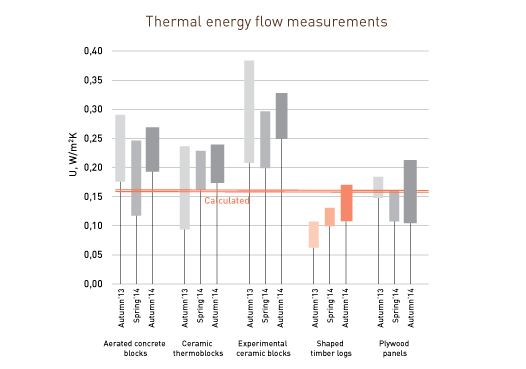 The low index means that shaped timber log construction in comparison to constructions from different materials maintains the heat in the room for the longest period of time. 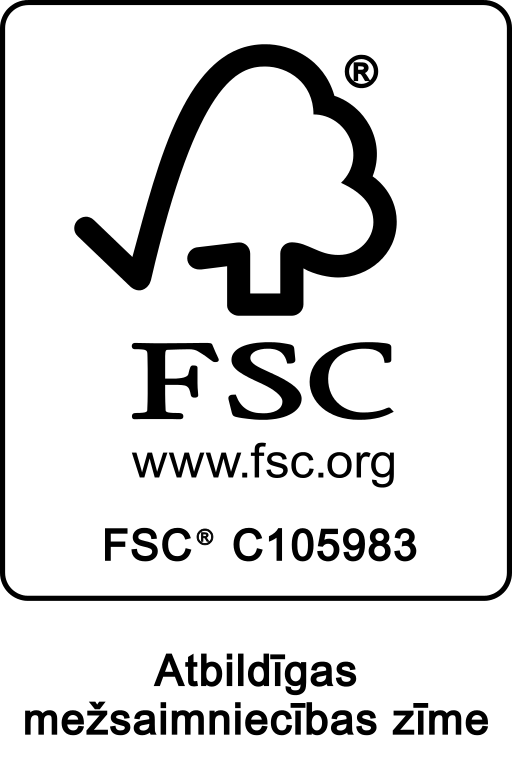 The study proves that wood is not only an ecological and health-benefiting material, but that it is also a highly energy-efficient construction material. Indoor humidity level measurements are also a significant aspect of the study; the level of humidity is one of the main factors affecting the quality of air and the potential development of mildew and mould. The table clearly depicts an absence of the risk of mildew or mould development in a Dores’ house. Indoor air containing mildew particles has negative impact on health and general well-being – inhaling or consuming these particles can cause allergic reactions, congestion and other respiratory illnesses. Research shows that low-quality air increases chances of getting ill by 75 times! 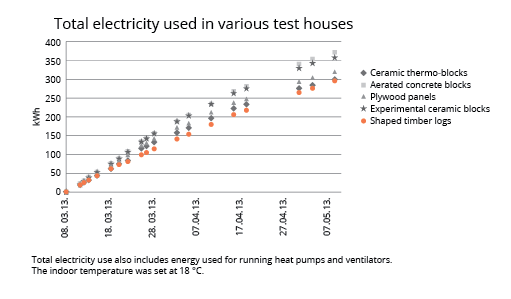 Shaped timber logs with insulation consume considerably less energy than other materials. 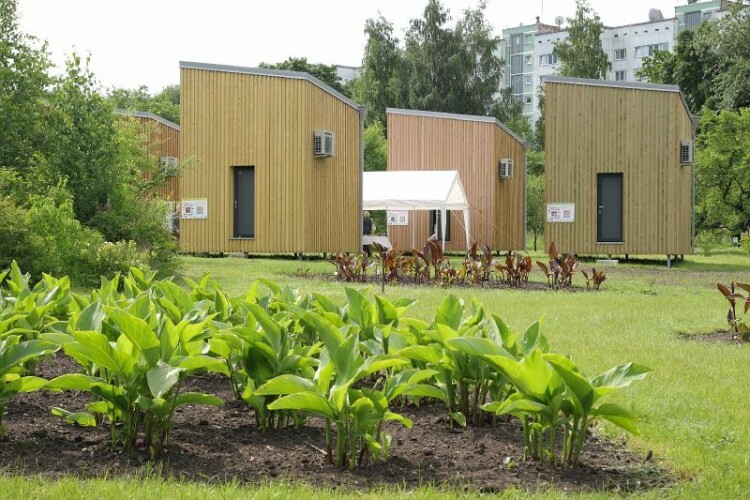 The aim of the study is to compare and measure different construction materials and their compatibility with Latvian climate in cooperation with various representatives of the construction sector, as well as to promote the development of new energy-efficient construction principles and facilitate general public understanding of energy-efficiency and modern solutions.